Pass your Theory Test first time! Bus, Coach and Lorry drivers will be tested on 100 questions and need to correctly answer 85 of the 100 to pass the multiple choice part of the test. Download EVERY question and answer from the latest OFFICIAL DVSA Theory Test revision question bank for LGV & PCV Drivers direct to your PC and start revising within minutes. 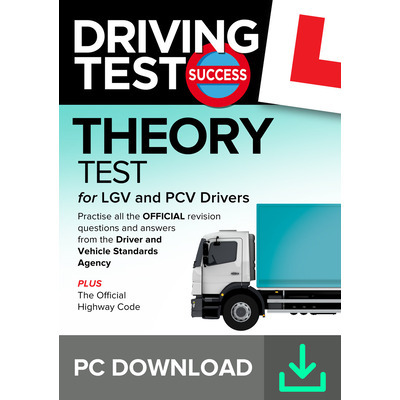 Driving Test Success Theory Test for LGV & PCV Drivers has been carefully structured to teach you everything you need to pass part 1 of your Theory Test with confidence.